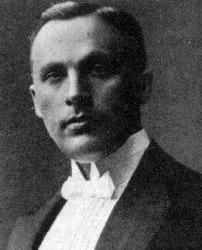 Best known for his two matches against Alexander Alekhine for the world championship, Efim Bogoljubov was a very strong player who never became world champion. Winning numerous tournaments throughout his life, he eventually gained the title of Grandmaster near the end of his life. His legacy lives on through his games and opening that he created. Efim Bogoljubov was 22 years old when he had his first chess success, tying for first place in the Kiev championships. After World War I he began to win a lot of tournaments and really began to have people notice his play. Between the two world wars, Bogoljubov won multiple tournaments each year and it wasn’t until after World War II that he began to decline. Before his decline he did play two different matches against Alexander Alekhine for the World Championship. Unfortunately, he lost both of these matches by a decent margin and never got another chance to capture the title. In the final years of his life he was awarded the title of Grandmaster. This happened in 1951 and Bogoljubov passed away on June 18, 1952.